This post is sponsored by BODYARMOR. It’s summer here in Virginia and that means a lot of baseball for this familia. We have summer league, travel league and high school summer ball happening within weeks of each other. May-July is summer league and travel ball happens beginning mid-July. After that, the school’s summer league starts in August. Our evenings and weekends will be spent either at practice, games or recuperating from games. The hubby and I have been at this for almost twenty years. Our oldest is 28 and we coached him through little league. He went on to play high-school and college baseball. It’s fun and we love the camaraderie and community that we get to build with the other families. It’s also a great way to stay involved your kids’ lives while being a mentor to their friends. Having a dad coach is also a source of pride for kids. 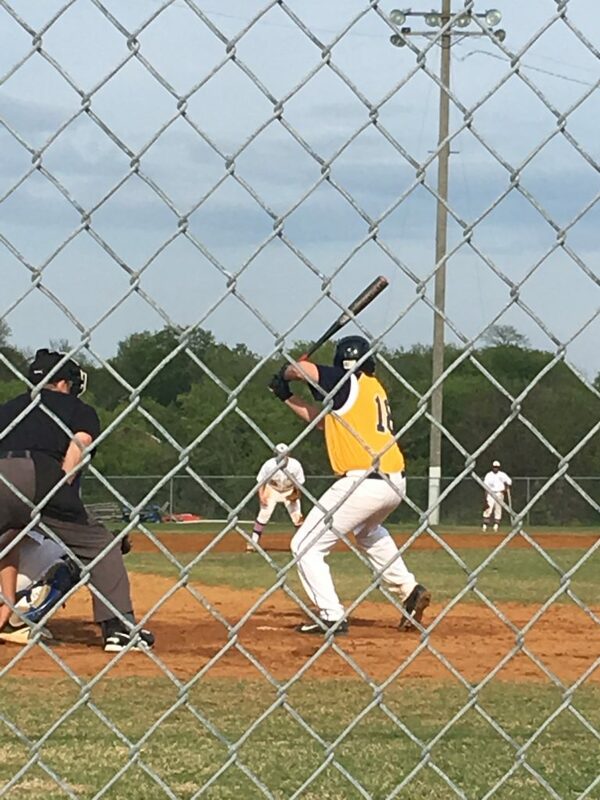 Our youngest who is 15 and lovingly referred to as the teenybopper also plays high-school ball. Between them, we have been involved with baseball for what seems like forever. In fact, our oldest sometimes coaches the teenybopper’s team with his dad. Some of my best memories are on the ball field. After so many years of doing the baseball shuffle, I’ve become the mom who is always prepared for anything at the games. We’re dealing with teen boys here. You can count on there always being a kid or two who doesn’t bring their water, so I always bring waters for everyone. The kids need to stay hydrated, especially when it’s hot out. 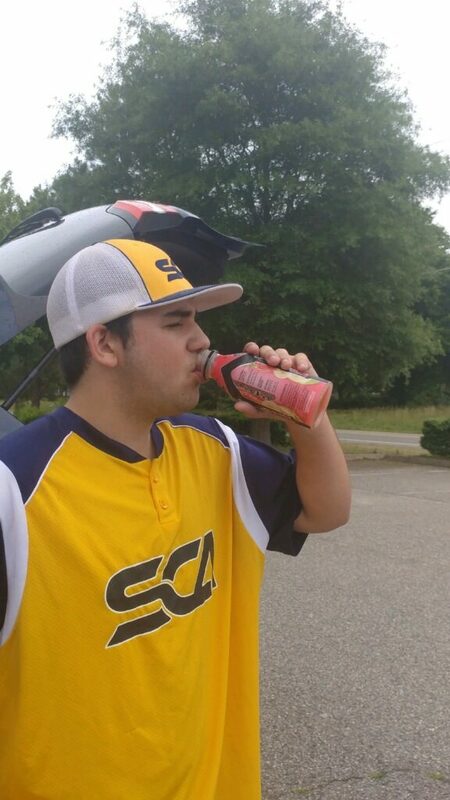 My new favorite is BODYARMOR SportWater which is a premium sport water designed by athletes, for athletes. It has a Performance pH of 8+ plus a proprietary Sports Electrolyte formula, giving your young athlete’s body exactly what they need. As much as they hate it, I make them wear sunscreen. And most of the time, the other parents are super thankful. A cooler with sports drinks. These kids play hard. They need something to replenish them after playing their hearts out. Recently, I’ve really grown to like BODYARMOR sports drink. 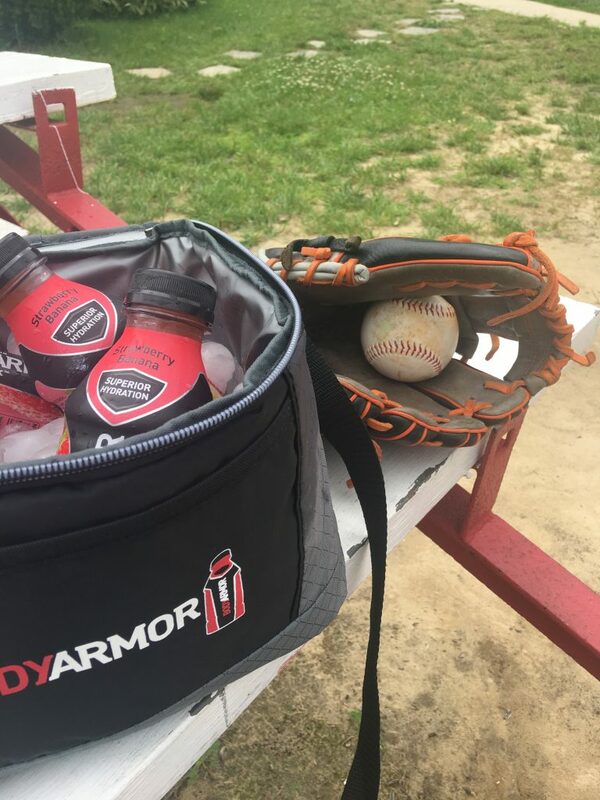 Unlike other artificial sports drinks, BODYARMOR contains natural flavors and sweeteners, potassium-packed electrolytes, coconut water, vitamins and no colors from artificial sources. Right now, my favorite flavor is Strawberry Banana but they come in a variety of others including Orange Mango, Lemonade, Fruit Punch, Tropical Punch, Blackout Berry, Mixed Berry, Grape, Pineapple Coconut, and Watermelon Strawberry. Starting in 2018, BODYARMOR Sports Drink is now available in 6-Packs across the U.S. at several local retailers including Target and Food Lion. It is available in four flavors including Strawberry Banana, Orange Mango, Fruit Punch and Peach Mango LYTE. Click HERE to SAVE TWO DOLLARS NOW on BODYARMOR 6-packs. Injuries are a given when you play sports. Having a first aid kit is just common sense. We’e dealt with everything from a broken nose to a dislocated shoulder. You always want to have a kit around to manage the minor AND the major stuff while you wait for the professionals to arrive if you need them. Do I really need to go over why this is an essential? Baby wipes have revolutionized the world. Enough said. I care about my back. Those bleachers are brutal and I just can’t with them. I have an awesome chair that goes with me to every game and practice. My back is grateful. I’m not a fan of gum, but it’s part of the whole culture of baseball. The kids love chewing a wad of gum when they are on the field, at the plate or in the dugout. I usually end up keeping score for the games. Even if I don’t have to, I like to do it on my own so that I can keep up with the game and discuss errors with the coach and the teenybopper later. It enables us to teach him how to always analyze his performance in an effort to grow as an athlete. It’s also a really good life lesson to check oneself and always be open to learning and growing as a person. There you have it, my baseball mom essentials. I’m really enjoying the BODYARMOR Sports Drink they sent me to review. Since I’m a huge fan of the brand I expected it to be a great product and I was not disappointed. They are bursting with flavor and refreshing at the same time. The real test was what the teenybopper thought of the drink. As you can see, he loved them too. And if you’re watching the calories like me, check out their newly released BODYARMOR LYTE Sports Drink, a natural, low-calorie sports drink with potassium-packed electrolytes, coconut water, and vitamins. At only 20 calories per serving, it’s a sports drink I can have too. It’s naturally flavored and sweetened (with pure cane sugar, stevia and erythritol) and has no colors from artificial sources. You can choose from four flavors of BODYARMOR LYTE – Peach Mango, Cherry Berry, Orange Citrus, Blueberry Pomegranate. BODYARMOR Sports Drink 6 Pack – CLICK HERE For a Coupon. Get Back to School Ready & Save $100 on an HP Envy x360 Laptop Now! My husband is a runner and always looking for ways to keep hydrated. I’ll be passing this product info along to him, especially now that the summer heat is here. I run too. It’s brutal when you run in the heat. Even though I try to do early mornings, it still catches up with me. Let me know how he likes it. You thought of everything. We always have baby wipes with us. I think I use them more now than when my boys were actual babies LOL. I know right? We do too, much more than when there was a baby in the house. I remember as a kid watching my brother play. I would always be slathered in sunscreen and there would be some kind of a sports drink. This is definitely important when it comes to kids playing outside all day long. My son plays softball and basketball and expects us at his games and we love to watch him and his teams. In the summer hot months you have to be careful of the sun and dehydration so these drinks are essential. This is a wonderful list of essentials! Having a sports drink on hand essential for the kiddos. Your sons are so lucky to have the whole family involved and supportive. My husband is a baseball nut, and we might get our girls into softball soon. Baseball the all American sport. We love to watch baseball now. Use to love playing it but now we are just the cheering squad. This is a great list of essentials. Our kids were never into sports, but I have close friends and family that have playing sports for years. I know that having drinks on hand is important. I love this list! I remember when my daughter played softball, and everything here would come in handy! I’ll have to try the Body Armor drink. This is so funny because I just spent all evening at my sons baseball game. He just has his first 3 fame tournament this past Saturday and it was an eye opener to know what I needed to bring for a enjoyable day. I also have a son that plays soccer and it is similar to baseball with the community feel, support of families and items needed. We have already formed amazing friendships with the other families. Thanks for this list of essentials! My kids are swimmers, so I can relate to needing a list of essentials for sports! You would think it was simple, but when it comes to kids and sports, it is so important to be prepared. Is it fun to watch baseball especially when they score. I love watching my niece game and it is more fun watching them cheer. I should bring these to my husbands softball game! They look like a satisfying beverage! Yes to all of these!! Especially cold drinks and sunscreen!! This is a cool list! My in law goes to softball games with her daughters and this would be a cool post to share with her. Thanks for this!